This blog is all about using data to change lives, improve communities, and make magic happen. And program evaluation, one of our major efforts here at HARC, is a big part of that. 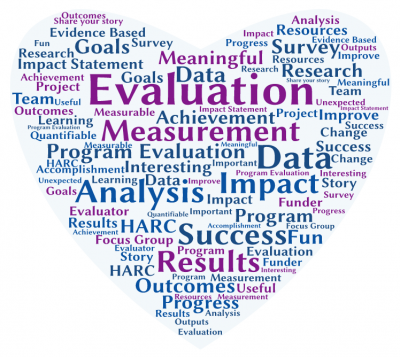 I love program evaluation, and you should, too. Let me tell you why. 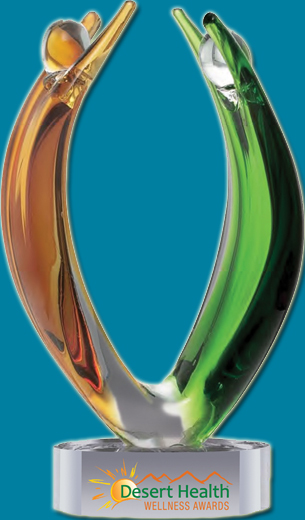 Program evaluation is a method of systematically collecting and analyzing information to better understand a program. That’s a fancy way of saying that evaluation is a study to see if you’re accomplishing what you hoped you’d accomplish. Basically, are your activities (programs, projects, policies, anything you’re doing) leading to the change you hoped you’d see? Evaluation brings different joys to different stakeholders. I’ll focus on two: program staff (aka YOU) and funders. Some funders, especially big governmental ones, require evaluation. Sometimes this means that they ask you to evaluate your work yourself, and other times they want you to hire an external evaluator to evaluate it for you. Regardless, they probably want an evaluation report at the end of the project. Why? Because they want to know that their dollars had an impact, and that it was money well spent. Think about it from their perspective: if you had millions of dollars (oh yes please), wouldn’t you want to know that you’d given money to programs that really are moving the needle and making our world a better place (as versus throwing money down a hole)? Even if your funder doesn’t require program evaluation, it’s still useful. Say you are given $100,000 to do something wonderful—in this example, let’s assume it is a program that provides mentoring for teens in an effort to reduce the high school dropout rate. You take that $100,000, and spend $90k on direct services and $10k on program evaluation (roughly 10% of the total budget is a good rule of thumb for how much should be spent on program evaluation). With that money, you make magic happen—evaluation shows that 95% of the teens in your program are graduating from high school, compared to only 80% nationally and 75% at your high-risk school. Wow! Armed with the evaluation report that demonstrates how effective your mentoring program is, you have a truly compelling story. You show it to potential funders, and they jump at the chance to support you. Why? Because funders want to fund successful programs. If you can demonstrate that what you’re doing works, they will help you continue to do it. Or help you expand it to others. What parts of your program were successful (and should be continued)? What could be done better next time around? What wasn’t effective (and could be eliminated, allowing you to focus on the stuff that works)? This is useful because none of us have limitless resources. Knowing what’s working and what’s not allows you to focus your time/money/effort/other resources on the things that really change lives, not on the stuff that isn’t making a dent. It’s also useful because, well, let’s be honest—all of us want to changes lives. Everyone wants to go home and be able to say, “I made a difference today!” That’s so important that it’s the topic of next week’s post: how evaluation will allow you and your team to make really powerful impact statements about the great things you do. So stay tuned! 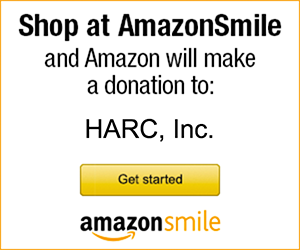 Congratulations HARC team on your new blog and the work you’re doing. I attended the first annual Workplace Wellness Awards luncheon in June and was encouraged by our Coachella Valley employers’ dedication to employee wellbeing in their workplaces. I hope the awards become an annual event in the Coachella Valley and thanks for presenting and hosting the event. Thanks so much, Noma, for both reading our blog and attending the Workplace Wellness Awards Luncheon! We are most definitely hoping to make that an annual event… I have an upcoming blog planned to talk about the value of health and wellness in the work setting, as I really think it’s forgotten about often. I can’t wait to hear more about the inspiring workplaces that do great things to protect and promote health in the community!